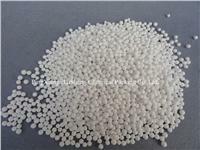 Molecular sieve is a kind of crystallized aluminosilicate, have uniform pore diameter, high specific surface areas, strong ability of selective absorption, high strength and thermal stability which have been proved successful when used in chemical, petrochemical and natural gas processes. BAISHENG molecular sieves have divided into several types of 3A, 4A, 5A, 10X、13X, 13X APG, Insulating Glass Molecular Sieve, Carbon Molecular Sieve, Activated Molecular Sieve Powder etc. according to its use. 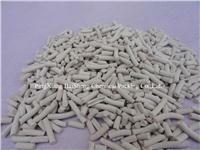 Selective adsorption,that it will absorb the moleculars of which the diameter is less than the pore size of molecular sieve. 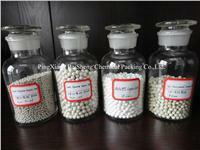 As for polar molecular and unsaturated molecular, it has selective absorption. Bigger the polarity .higher unsaturated ratio, means stronger selective adsorption. Strong property of water absorption even in high temperature, large space velocity or low content of water, it has quite high water absorption capacity.